British Columbia is blessed with luscious forests and endless green space but as we witnessed this past summer, it can also pose potential life threatening disasters. While most BC wildfires occur in rural forested areas far away from homes and businesses, they move fast and can put BC residents at risk. Over 50,000 people fled their communities during the summer 2017 wildfire season. 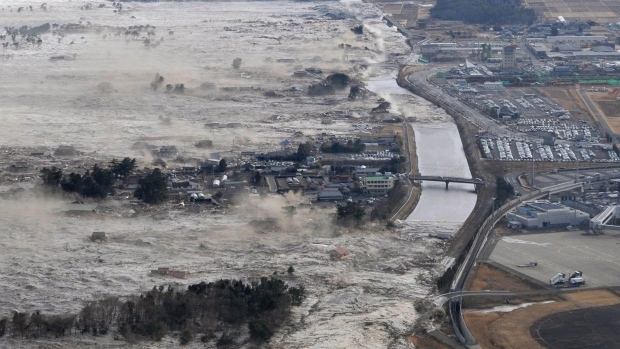 More recently, a 7.9 earthquake off the coast of Alaska triggered a wide-spread evacuation notice for Northwestern Coastal communities due to the threat of a tsunami. Several of these evacuations were given at a moment’s notice and when time is of the essence, it is crucial to have a grab & go emergency kit on hand. When these notices are given, residents must leave their homes on a whim, and evacuees may have limited travel routes to lead them to safety. In some cases, the roads may be backed up for hours with vehicles fleeing their homes. Consider that aid may not be available when you reach your emergency service station and there will be large lines for food and shelter. An emergency kit can provide comfort and assist you further during the evacuation. A primary and secondary meeting place where everyone can meet. The BC Government warns that you might not always be at home when an evacuation alert is ordered. They recommend storing grab & go emergency kits at home, at work, and in your car because you never know where you will be when an emergency evacuation is ordered. GetMyKit – Emergency Kits. 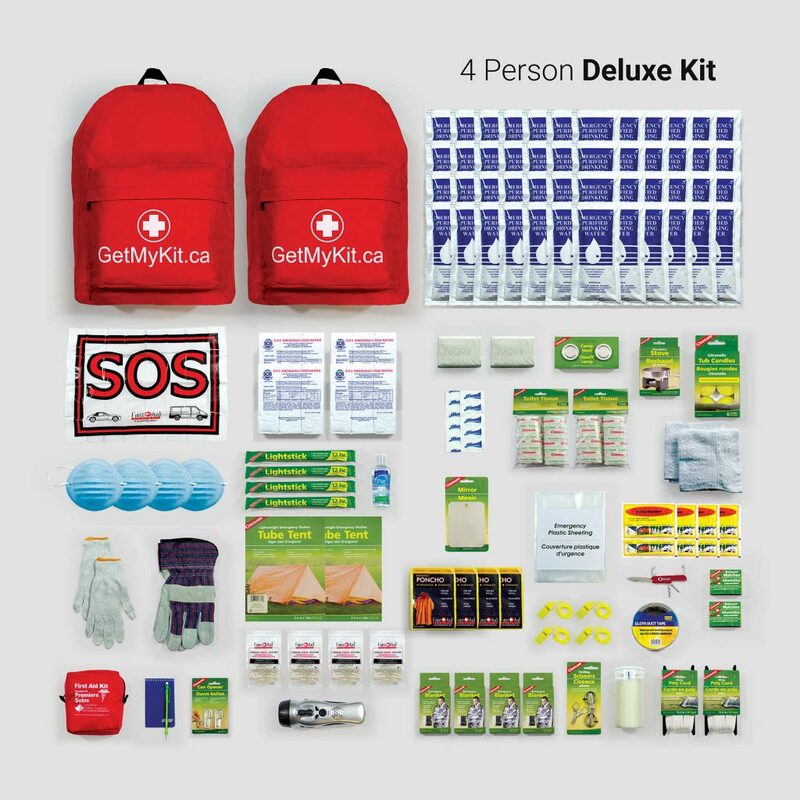 Our kits include everything you need to survive post-disaster for 3-5 days. Nutrition: food & water rations plus water purification tablets. Shelter: rain ponchos, emergency blankest and a tube tent. Lighting: flashlight, 50-hour candle, light sticks. Radio: A hand-cranked, radio/flashlight/siren is standard in all our kits. Check with your local government to see what the station frequency is for emergency broadcasting. We recommend our Deluxe Emergency Kits because they come equipped with cooking and heating elements, as well as extra comfort items. Extra Food – at least enough for three to seven days, including: Non-perishable packaged or canned food and juices, food for infants or the elderly, snack food, non-electric can opener, vitamins, paper plates, plastic utensils. Clothing – seasonal, rain gear/ sturdy shoes. Special items – for babies and the elderly. Toiletries – hygiene items, moisture wipes. SAVE 20% off our entire online store today. Promotion ends Sunday January 27th, 2018 at midnight.